The Planning Green Paper has received a lukewarm reception from the regions conservation officers. While Greater Manchester Conservation Officers generally welcomed the Green Paper concerns have been raised about a number of the proposals contained within the paper. The possible simplification of planning policy guidance was viewed with concern, particularly the review of PPG15. It was felt that the case for conservation may be undermined if simplification of PPG15 occurs at the same time that local plan policies are also simplified. In Cheshire concern was expressed that the Green Paper was driven by Metropolitan issues that may be contrary to other interests. While regional spatial plans may be a useful way forward there was apprehension that the voice of Cheshire may be lost within a larger region and felt it was important to maintain Cheshire as sub-region. There was also concern that the new Community Strategies could prioritise community issues over conservation. The suggestion that charging for pre application advice was cautiously received as it was thought it could potentially remove the impartiality of the response and could result in fewer consultations. The Green Paper has been discussed by some planning committees. Macclesfield members are asking why changes in the local plan regime are necessary, as most local planning authorities now have adopted, or nearly adopted, local plans. They are also concerned that statutory consultees may have insufficient resources to respond to the increased numbers of consultations, the loss of detailed government guidelines and the risk of confusion when using the proposed single application form. The apparent decline of the counties raises the question of whether the Government intends to fill the vacuum at either a local or a regional level. Oliver Pearcey, Director of Conservation at English Heritage, in his keynote speech to last year’s IHBC Annual School addressed this very issue, when he envisaged conservation officers working in regional tams. Mr Pearcey recently outlined his thoughts to North West. He saw it as possible that regional government could take on specialist skills such as, SMR’s, archival services, major resource planning as well as conservation training. English Heritage would certainly like to see the skilling up of District Councils, which is necessary following the serious decline in conservation skills within local government. Mr Pearcey felt that it is now necessary to increase the numbers of specialist conservation staff and felt that most unitary authorities could probably support a conservation team. Certainly placing conservation professionals in regional, or sub regional teams, could have clear advantages, including continuity of skills, knowledge and service, when staff move on, and avoiding the problems of inexperienced staff being appointed, with insufficient support or mentoring. Also a career structure would make conservation more attractive to high calibre professionals. No government views are likely to be announced before the publication of the green paper on Regional Government. I am delighted to be able to welcome readers to the re-launched branch newsletter. Members will recall that previous attempts, at a newsletter, have faltered due to apathy from the membership. It appears that this situation has greatly improved and I am pleased to be able to present an issue filled to the brim with topical articles. Can I thank all contributors and hope that you, the reader, find the articles both useful and interesting. I do not envisage North West as a poor man’s Context, but as a magazine reflecting activities and issues unique to the region. North West will be published up to four times a year and to maintain high standards the editor will be actively seeking interesting articles. Nervous types who may now fear the telephone ringing, should not. You will have been contacted because of your pre-eminence in that particular field. In any case, any drivel submitted with be discretely disposed of, without being brought to the attention of the wider readership. The benefits of multi-channel television are now available to the owners of listed buildings without having to deface their beautiful buildings with ugly satellite dishes. ITV Digital now provides up to 59 channels available either through cable or through a conventional television arial. The level of coverage varies according to the location but ITV Digital estimate that over 75% of Britain can receive some form of digital coverage. The quality of coverage is graded from Menu A to Menu E. Menu A is the highest level of coverage. However even Menu E provides a large number of stations, including free channels such as BBC1, BBC Parliament, BBC Choice ITV 1 and ITV 2. On Menu E it is still possible to subscribe to a small number of pay to view channels including The Cartoon Network , Sky Sports 1 and Film 4. However many popular channels such as Sky Sports 2 and 3 would require a better coverage. Other alternatives to ITV Digital include cable. That is more suitable for historic buildings, unfortunately network coverage is patchy and it is unlikely it will ever be economically viable for remote locations. The main competitor to ITV Digital is Sky Digital. This provides a similar, but slightly more comprehensive service than ITV Digital. 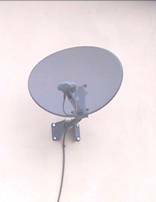 However the service is provided via satellite rather than terrestrial transmitters and therefore a satellite dish is still required. The situation is changing rapidly, as the level of land based digital coverage improves. For information from ITV Digital about coverage for any particular building Conservation Officers should ring the ITV Digital Customer Care Line (0870 600 9696) and ask for the Technical Department.. You will need to be able to provide the post code. So there you have it. First person to get a Sky satellite dish listed gets a free copy of Context. In fact those large white ones are already pretty rare and as for squariels……. The need for a Historic Environment Forum. The historic environment has considerable potential to enhance the quality of life, writes Nick Grimshaw. The fact that this potential remains to some degree unrecognised, at the regional level, means that there is a need to engage with key policy and funding organisations. In order to address this problem English Heritage has established a forum in each of the nine English regions. The purpose of each of the regional forums is to bring together heritage organisations, to promote understanding of the value and potential of the historic environment. The North West Historic Environment Forum. (NWHEF) is one of the first to be set up, drawing membership from all the key regional Government agencies, amenity bodies, museum services and heritage interest groups. The IHBC-NW is expected to be an active member of the forum and will be represented by one of the Branch Committee members (currently the branch Treasurer – Nick Grimshaw). The particular emphasis of the NWHEF is to promote the region’s historic environment as a major contributor to regeneration, social inclusion and lifelong learning, in order to counteract the perception that its industrial landscape is a hindrance to inward investment. The regional forum will seek to influence the development of north-west strategic policy and act as a consultative group on historic environment issues. In addition, it will market the historic environment, while demonstrating and encouraging best practice in the management of the historic environment. The NWHEF is also expected to become a focus for sharing information on the plans of individual organisations in order to exploit opportunities for collaboration. This is an important opportunity for the IHBC-NW to raise our profile and directly influence strategic policy. It is therefore essential that the regional forum is given the branch’s full support. The inspectors decision letter is keenly awaited following a five week inquiry into the proposed demolition of 160 houses in Nelson, Lancashire. The local authority are seeking to compulsorily purchase 160 Victorian mill workers houses, prior to the demolition and redevelopment of the area. The authority maintains that the properties are substandard and views demolition as the most appropriate way to improve the area. The houses are not listed or inside a conservation area. Nevertheless the CPO was opposed by English Heritage, the Victorian Society, The Ancient Monuments Society, The Heritage Trust for the North West and local residents. English Heritage believes that the houses are no different in terms of character and quality to houses in a nearby conservation area and have questioned whether the properties are beyond repair. This is the first time that English Heritage have been involved in a case of this nature and North West will revisit this issue following the inspectors report, to discuss implications for other local authorities. 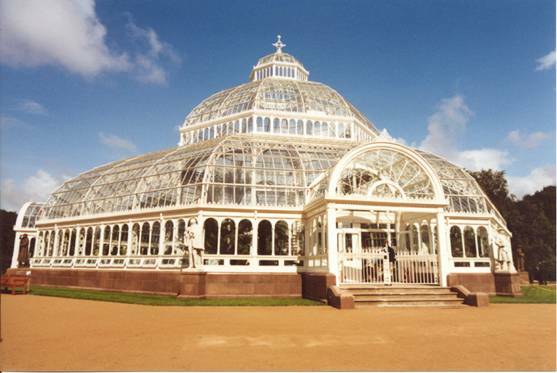 Liverpool’s Grade II* listed Palm House was the gift of Henry Yates Thompson writes Christine Wray. Constructed by the Edinburgh firm of Mackenzie & Moncur, it cost 12,000 in 1896. The wrought iron, cast iron and glass structure was designed as a temperate greenhouse or Winter Garden. The Palm House glass was destroyed in the May Blitz of 1941 and the building was a gaunt relic until post-war refurbishment as a propagating house followed by full restoration in 1957. 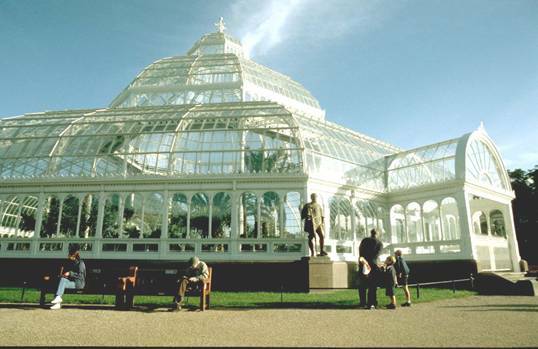 After the War the heating system was enhanced, allowing for the introduction of tropical species, however the palm house construction was not suited to this temperature regime causing problems for the glazing system. Exacerbated by vandalism and storm damage and without funding for major refurbishment, the building became unsafe and was closed to the public in the mid-1980s. 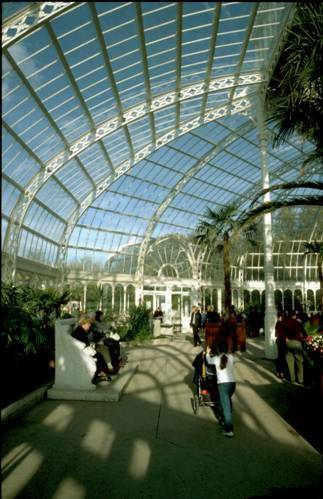 The demise of the Palm House generated a committed ‘Save the Palm House Campaign’ and led to the formation of `The Friends of Sefton Park Palm House’. In 1993 limited funds became available to the City Council , through the Urban Programme, to carry out emergency works that included the removal of all the glass. Planting was reintroduced within the now roofless but safe structure and the public were readmitted. A ‘Sefton Park Palm House Advisory Group’ fostered strong links between the Friends group and City Council officers to explore opportunities towards the full restoration of the building. The Friends developed new funding initiatives such as the ‘Sponsor-a-Pane’ scheme and an imaginative events programme which both raised finance and the profile of the Palm House. By staging a diverse events calendar the Friends demonstrated that a fully refurbished structure could generate income to assist its maintenance and redefine the Palm House as an important visitor attraction. In 1996, with the prospect of funding through the Urban Parks Programme of the Heritage Lottery Fund (HLF), a scheme was drawn up to give the Palm House a new lease of life. The proposal was to incorporate ancillary accommodation comprising office, storage, toilets and kitchen areas, in a new basement area with subtle intervention into the existing landform and the building’s original space. The Palm House Preservation Trust, (formerly the ‘Friends of the Palm House’), were to become responsible for the organisation, promotion and management of events within the refurbished building. Funding for the scheme comprised contributions from the Heritage Lottery Fund, English Heritage, ERDF, Sefton Park Palm House Preservation Trust, and City Council. It took in the order of 8 years to put this package together from the receipt of the first offer of grant from English Heritage. Although the large HLF contribution made the scheme viable, the contributions from EH and ERDF have been crucial to the overall package to match the grant from the HLF. The building was dismantled and largely removed to Barnsley where the contactors had use of a large factory unit. The components were then restored and repainted before being returned to site. 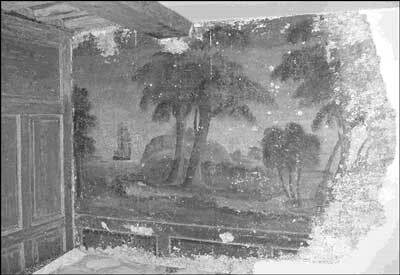 However it became apparent that the building was in a worse condition than had been revealed in the original survey. Due to these unforeseen additional works the total project costs increased . The City Council have been successful in obtaining a significant grant increase from the Heritage Lottery Fund, main funders of the project, to help meet these additional costs. The current refurbishment has been largely dictated by cost and as such represents the ‘minimal operational standard’. Additional restoration works have been identified, including improvements to the Palm House floor and the refurbishment of the original boiler house as a base for security staff. Much remains to be done but the building is back in action and a wonderful gift has been brought back to life. It’s restoration is more than physical - it is a symbol of Liverpool’s wider regeneration and revival. The building is open to the public free between the hours of 10am and 4pm except during private functions. This a key time for building conservation, writes Keith Parsons. English Heritage have published the findings of the review they headed, into the historic environment, in the form of Power of Place and the Government has now responded with its white paper The Historic Environment: A Force for Our Future. In both these documents the need for, and the importance of, education in building conservation, is highlighted. In February 2002, I attended a lecture given by Sir Neil Cossons (Chairman of English Heritage) to the Chester Civic Trust. In the lecture the issue of education was stressed. English Heritage sees its role as a champion of conservation education. Cossons told his audience he would like to see the level of debate in building conservation raised. He wanted to see the gulf between archaeology and historic building conservation narrowed. Archaeology has a well established academic infrastructure to support its work and building conservation needs the same. I pointed out to Sir Neil that the Masters programme at the University of Central Lancashire was the only post-graduate course provision in the North West and that in the three years we have been running our undergraduate programme in Heritage Management, we have seen the other two institutions in the region scale back their undergraduate provision. We would like to work closely with English Heritage in advancing the cause of education in the historic environment. I suggested that capacity building would not be enough. I believe that English Heritage also needs to spearhead an awareness raising campaign, to raise the profile of education in heritage and conservation, because we need to increase student numbers. After the lecture, I spoke to the English Heritage’s North West Regional Director and we are planning to meet shortly to begin discussions about raising the profile and level of historic environment education in the North West. One idea is to propose hosting (or possibly co-hosting with EH) Best Practice Seminars at the University of Central Lancashire, in Preston, as CPD events. I would welcome suggestions from branch members, to put to English Heritage on this matter. Only joking. More gloomy news on the street furniture front. Luminous yellow speed cameras have been suggested under proposals soon to be published by DTLR. New rules state that speed camera partnerships, with powers to keep fines will have to meet tough criteria, including being signed and clearly visible from 60m’s away. Not only will these cameras look awful they are unlikely to make any serious contribution to improving road safety.